TAVISTOCK athlete Sam Lake has won a second European medal within the space of a week. 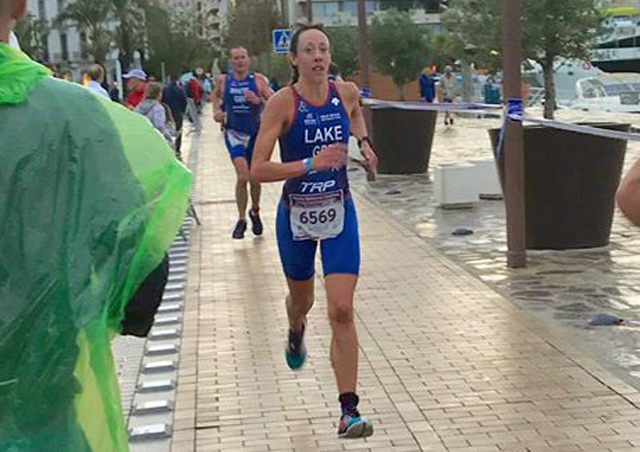 A few days ago, Lake claimed silver in the women’s 40-44 age group at ETU Aquathlon Championships in Ibiza. 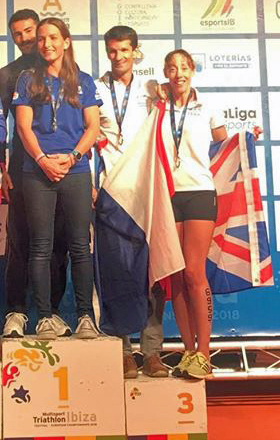 She then backed that up by winning bronze in the same age group at the ETU Middle Distance Triathlon Championships, which were held at the same place. Lake finished behind fellow Great Britain athletes Deborah Coyle and Beth Wilmot in the triathlon, which took place in a storm. Despite huge waves for the swim, Lake was not only fastest in her section but also the quickest women in all the age group categories with 30.22 minutes. The cycling was tough, but Lake kept in contention with a time of 1:32.31. On the half marathon run, Lake finished in an impressive time of 1:32.12 to win bronze by more than two minutes. Robert Flack and Nicky Deane-Simmons just missed out on also making the podium. Flack finished fourth and second Brit in the men’s 25-29 age category, while Deane-Simmons was fifth in the women’s 60-64 section. 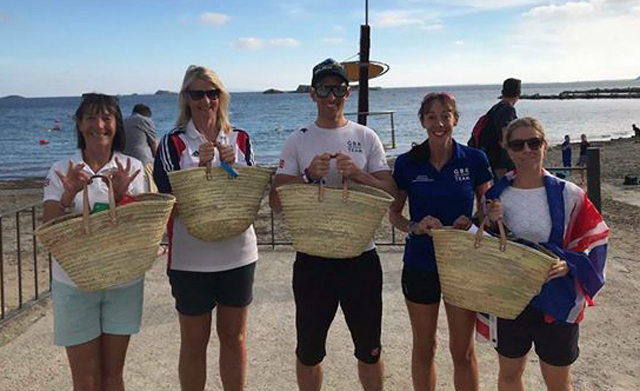 Ollie Beilby was ninth in the male 35-39 category, Lindsay Hobbs 12th in the women’s 55-59 age group and Mark Knight was 13th in the male 30-34 section.